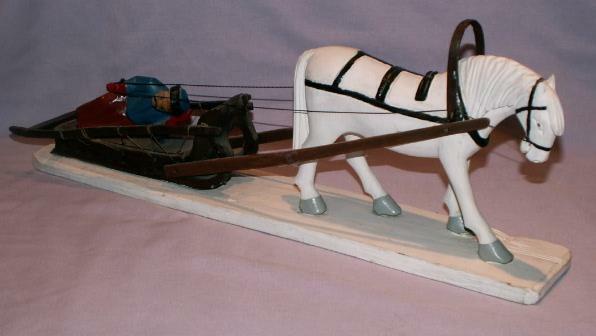 Hand Carved Horse Drawn Sled. Very unusual with the driver in a prone position..One of the long tongue pieces connecting the horse to the sled has been repaired with tape, but could easily be better repaired. We accept VISA, MASTERCARD, DISCOVER, and AMERICAN EXPRESS payment via paypal or you can pay with a money order or check. 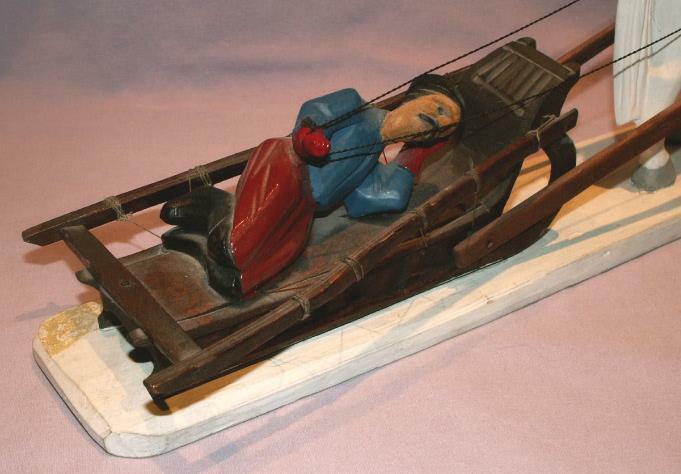 Items Similar To "Hand Carved Horse Drawn Sled - Ethnographic"